Identifying organic contaminants in failure analysis and process control with a breakthrough technique: submicron IR and simultaneous Raman microscopy. Find out more in a webinar from Photothermal Spectroscopy Corp on Wednesday 13th March 2019 at 10am GMT / 11am CET. Blue Scientific is the official distributor for Photothermal Spectroscopy Corp in the UK and Nordic region (Norway, Sweden, Denmark, Finland, Iceland). For more information or quotes, please get in touch. Identifying contaminants accurately is critical in failure analysis and process control, to guarantee product quality and yield. With increasingly strict control standards and the compact size of high-tech products, it’s more important than ever to be able to identify smaller contaminants. There are reliable high resolution techniques for elemental and inorganic analysis; however identifying organic contamination at the micron and sub-micron scale has remained a challenge. The webinar will be presented by Dr. Mustafa Kansiz of Photothermal Spectroscopy Corp. and Dr. Dennis Walls from Dupont. There will be opportunities to ask questions during and after the webinar, and a recorded version will be available for on-demand viewing. The live webinar will be on Wednesday 13th March 2019 at 10am GMT / 11am CET for 1 hour. 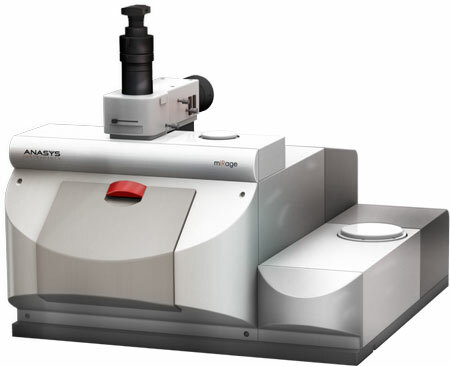 The mIRage IR Microscope from Photothermal Spectroscopy Corp is a submicron IR spectroscopy and imaging system. It uses Optical Photothermal IR (O-PTIR) spectroscopy to break the diffraction limit, bridging the gap between conventional IR micro-spectroscopy and nanoscale IR spectroscopy. Now, for the first time, IR and Raman measurements are possible simultaneously (IRaman), from the same spot and with the same resolution.